A special thanks to The Scuba Shack of Florence Ky for providing the training and to all the instructors and divecons that day. 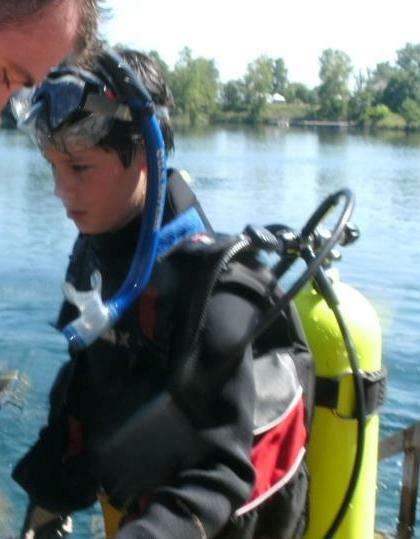 You help create some very special memories for us that day and I can’t wait until I get to dive with Logan again. Wish Logan "good luck" from Great at DiveBuddy on becoming a Navy Seal. He’s head in the right direction if he’s already learning to dive. Thanks... I know just what you mean... time just flys! Maria, Congradulations to both you and Logan. Make sure he enjoys these early years of diving, they’ll go fast.